For us in the northern hemisphere, there is no denying the change in the air. Summer is giving way to autumn (or fall, if you want to be all American about it). The kids are back at school. All the upcoming holidays now have an ‘end of year’ feel to them. For those in the southern hemisphere, the reverse is true. Spring is coming and summer will be here before you know it. Time to hit the beach and get outdoors. It was whilst living in New Zealand that I realised for the first time how productivity and personal development have seasons of their own, often very much inline with nature. Perhaps it was because all my online inputs were largely presenting an experience that was the reverse of the one I was living through. What I did realise was that as the rains came (I was living in Christchurch, there was lots of rain), it became harder to stay motivated and geared up for new projects all the time. Any productivity guru worth their salt will tell you that you don’t need to wait for the New Year to make a change. Or that every day is a fresh start. It’s all very true. I just think it becomes harder if you try to do it out of sync with the world around you. Many people live online so much that it makes it easier, in a strange sort of way. When you never leave the house, it’s easy to forget what is going on outside. I know the temptation of the laptop as much as anyone else. Nevertheless, it can contribute to a feeling of burnout when there is no variation, just the non-stop hustle and grind of daily life. Right now, I am taking a mini-break to plan the remainder of the year. I wanted to be somewhere different, somewhere much closer to nature, to remind myself of this idea. As the days get shorter, it will become harder to get out of bed each morning. The evenings will seem made for curling up under blankets with a good book, not hitting the gym or high intensity projects. I need to remember this so that I don’t fill my days with things I won’t achieve. I don’t like breaking promises to anyone, least of all myself. So, over the next few weeks when you begin to see articles and blogs reminding you that ‘It’s not too late to win the year!’ and ‘make that final quarter count!’, remember that life is meant to have periods of recovery and renewal. If you’ve left it until nature begins to shut down, then it might be time to consider a different approach next year. Of course, for those of you in the southern hemisphere, it’s time to get up and at ‘em. This entry was posted in Better Living, Travel and tagged creativity, culture, gratitude, growth, GTD, happiness, Health, inspiration, location independent, meditation, motivation, persistence, personal development, Travel on September 18, 2017 by sherrinicholds. After spending 3 months with Gran Canaria as my home base, I can say for certain it has been a perfect place. Although the location independent lifestyle is still in its infancy in real terms, I can see great potential for the Canary Islands as a whole to become the nomad capital of Europe. I group them together as a single entity because there is so much variety in such a small space, all of it easy to access. Tenerife and Lanzarote also have a growing digital nomad community that can be reached within an hour or two. However, I’m also aware that I have some very specific requirements when picking out my ideal travel locations, so in the review that follows, I’ll try to be balanced towards the areas that matter to a majority of people. So how do the Canary Islands fare on the key metrics? Costs are in US dollars, unless otherwise specified. Compared to much of Europe, the Canary Islands aren’t that expensive. They’re not dirt cheap either, as they’re developed and off the mainland. But flights from all over Europe can be purchased for around $50 if you shop around. At this price, I was able to get a return flight to the UK for a long weekend in May for around $75 – an absolute bargain. The cost of accommodation varies depending on season (as the islands have a strong tourist influence). A one bed apartment can cost as little as $800 per month with utilities included. For less than $900 you can have sea views and balconies, which are my personal preferences. The good news is that low season, when the prices are at their most competitive, the conditions are ideal for working. As someone who tries to eat healthily, fresh meat and produce can be slightly more expensive than in mainland Europe. Supermarkets tend to be smaller and buying in bulk to save money is not always an option. Even so, it is still more cost efficient than eating out, especially in the tourist areas, when a main meal can set you back $15-20 per person. The constant requirement of bottled water doesn’t sit well with my conscience either if I’m honest and adds about $2 per person, per day. That adds up over three months! Located off the coast of Africa, approximately 28 degrees north of the equator, the Canary Islands have the best weather in the world. Hot days, balmy nights, with very little rainfall. Unlike a lot of other hot, palm tree laden places in the world, this is not subject to intense rainfall. The humidity doesn’t sap away all your energy and force you inside as a sweaty sticky mess. There can still be variations in temperature, even on the same island, given the exposed position they have to the west. Gran Canaria is a good example of this. Las Palmas in the north has much cooler temperatures than the tourists hotspots of the south, only an hour’s drive away. Regardless, if daily temperatures of 25-35 degrees Celsius (75-95 degrees Fahrenheit) sound good to you, then this might be the place to visit. If you rely on the internet (and if you’re reading this post then I assume you do), the Canary Islands can be a bit patchy. Coffee shops and coworking spaces in cities have good enough internet to use in most cases. However, once you venture into tourist areas, then coffee shop wifi is more or less an afterthought. There is a wide variety of accommodation that come with good, free internet access included, but if you want to work in public spaces more, then stick to the cities. I made the trade-off to keep the wifi in the apartment and the beach coffee shop for pleasure or analogue work. I’m still happy with that decision after 3 months, as it actually helped with a work/life separation that can be tough when you’re independent. A strong digital nomad community isn’t high on my list of needs. Much of the work I do isn’t collaborative and I’m naturally an introvert. Coffee shops with good wifi are enough for me. Cafe Regina – with coffee like this, I don’t need people! But I know that for many people, especially those travelling alone, a strong digital nomad community is a must. So, although I can’t speak from personal experience here, it’s clear that Nomad City are pushing things in the right direction. In April Digital Nomad Girls Las Palmas Retreat took place, again highlighting the potential for community over here. They are all fairly positive, but in comparison to somewhere such as Chiang Mai, it will probably seem a little slow. Travel throughout the Canary Islands is affordable and efficient. This applies not only to the bus services that connect the various parts of an island, but also to the inter-air flights that make island hopping easy. It is also fairly simple to hire a car if you prefer to drive yourself, but it is worth noting that these are volcanic islands, so confidence on steep, winding roads with a sheer drop is a must! Although the islands don’t have the same depth of history as much of Europe, there is still over five hundred years worth of culture to be absorbed here. There are some great old buildings, festivals and the food and drink is varied and tasty. You can also explore the volcanic landscapes. I recommend going over to Mount Teide on Tenerife (the highest volcano in the world base-to-peak outside of the Hawaiian Islands) and doing a Teide star-gazing trip. As a woman, safety is of high importance to me. The Canary Islands contain some of the most comfortable places I’ve found. Of course, in any location, I take a lot of sensible precautions. Outside a city such as Las Palmas, you can find sleazy tourist hotspots where it is assumed that you’re there to have a good time or a summer fling. If that’s also on your travel agenda, then great. For me, it was as simple as avoiding bars at kicking out time in these areas, just as I would anywhere in the world. In summary, the Canary Islands have something for every digital nomad or location independent worker. The key is knowing what you need and how you want to live. For those who are starting out, bootstrapping and traveling for the first time, it might not be the best place to start if you’ve watched a lot of digital nomad YouTube videos. But for those who are more settled into the lifestyle, or want something in Europe rather than Asia, then I would recommend here so much that I already look forward to when I can return. CANARY ISLANDS SEIZING THE GLOBAL GROWTH OPPORTUNITY – It’s great to see the government and locals embracing the opportunities of a global market and the digital nomads that come with it. Places To Work – Las Palmas Co-Working spaces. Wolfhouse Tenerife – Co-Living – I’ve not visited the Wolfhouse, but I have been to Los Gigantes several times and can say it is a great place to visit. This entry was posted in Travel and tagged digital nomad, digital nomad canary islands, digital nomad europe, digital nomad gran canaria, digital nomad las palmas, happiness, Health, inspiration, location independent, motivation, no sugar, personal development, productivity, sugar free, Travel, Writing on June 26, 2017 by sherrinicholds. I first heard the term digital nomad just over six months ago. It resonated straight away, as it fit with the lifestyle I’d been working towards for a long time. However, it definitely seemed populated by a younger demographic. Many of the articles and YouTube videos made me think of my time backpacking over a decade ago (and I was already in my late twenties then), rather than where I currently am in my life. The movement was also concentrated in South East Asia (Thailand, Cambodia and Indonesia), with a smaller grouping in South America (Chile, Mexico and Brazil). Digital Nomad: Asia or Europe? All of this was possible without travelling halfway around the world from England. I did that when I spent six months in New Zealand three years ago and it always felt just a little too distant for a long term base. Over time various Canary Island locations started to be mentioned by seasoned nomads who wanted to try somewhere different. Given that it was a location I’d visited a dozen times, it felt comfortable and right to make the move. Virtually a private pool – awesome! What I am saying is this: when asking yourself which location is right for you, don’t feel like you have to choose from the ones everyone else is talking about. Make your list of requirements and find what feels right for you. Chang Mai may be a digital nomad mecca, but if that’s not what you need, then it’s really not a problem to be somewhere else. I have spent my first week out here testing the lifestyle. I started with a mini-break because I was exhausted. In the two weeks leading up to the flight, I saw lots and lots of people. As an introvert, it left me with nothing in the tank. A few days of reading at the beach was just what I needed. Next week the work gets serious. I set up a separate calendar in iCal just for work scheduling. I got the idea from Michael Hyatt about planning an ideal week to help constrain and focus your work life. It’ll be exciting to try that out in a full implementation now I am a master of my own schedule. I’ve also had time to test what food is available and what works with the limited cooking facilities. Constraint is great here because it means I have to think about my food. Many studies have shown that planning meals removes the weakness that leads to junk being the quick and easy option if you’re making a decision when already hungry. For me, being location and lifestyle independent isn’t actually about ultimate flexibility. After a few years of business travel, I’m looking for structure more than anything else. But I get to determine that structure to allow for maximum effectiveness and happiness. Hopefully I’ll be just as content after my first full work week as an independent author and freelancer! This entry was posted in Better Living, Travel and tagged digital nomad, digital nomad canary islands, digital nomad europe, digital nomad gran canaria, digital nomad las palmas, inspiration, location independent, motivation, personal development, self-publishing, Travel, Writing on March 24, 2017 by sherrinicholds. Cookies and Creme and… allowed? 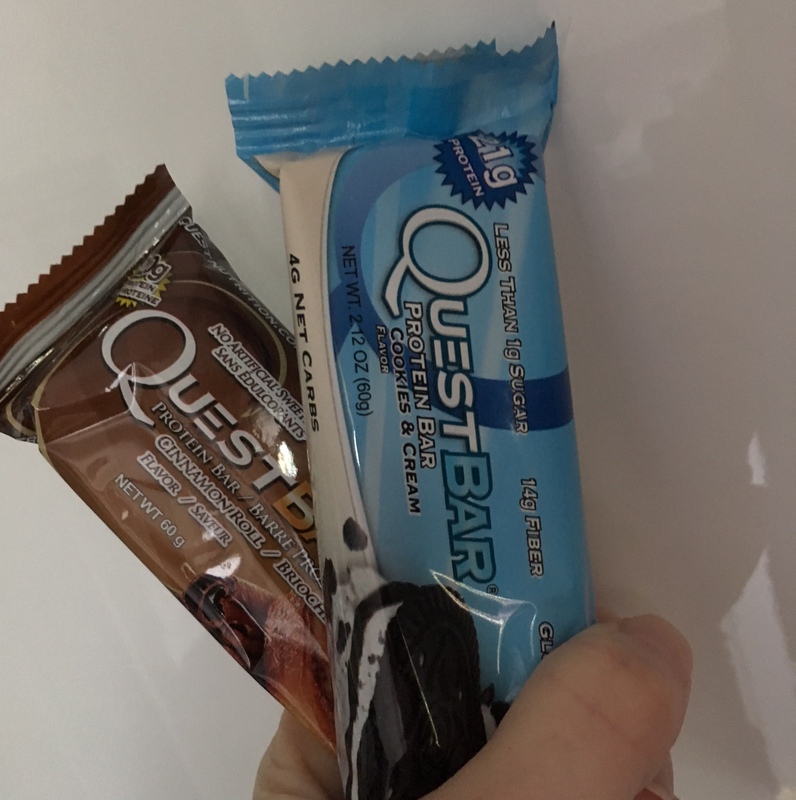 I first heard about Quest bars on the Cortex podcast. Generally speaking, if something gets the CGP Grey seal of approval then that’s good enough for me. I know a chocolate bar or a dodgy fast food lunch would give me the instant pick-up feeling, but that’s really not in keeping with what I want to get out of my life. Instead, the protein keeps me feeling full and my brain actually working through the afternoon, when the slump traditionally kicks in. So a massive thumbs up from me. I’m not in any way affiliated with Quest, but I’m always keen to share anything that I think is helpful. So that’s my Monday snack hack to start a busy week off right! This entry was posted in Travel and tagged growth, Health, inspiration, motivation, no sugar, personal development, productivity, protein, quest, quest bars, sugarfree, Travel on September 5, 2016 by sherrinicholds. I am actually drafting this blogpost in the waiting room of a mechanic shop while they fit two new tyres. Why? Well, because they needed changing. And because I now have Scrivener for iOS. 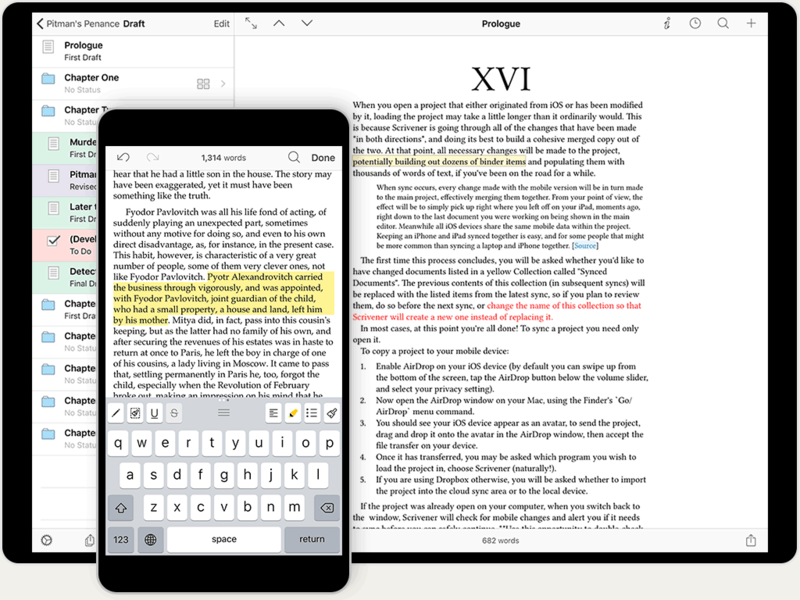 Yes, finally, there is a Scrivener app. I’m not going to lie; I did a little squee when it was released. I have done all my outlining and drafting in Scrivener for years now. I only use MS Word for final formatting to submit to the rest of the world, who seem to enjoy the sweet misery that it brings. What writer doesn’t die a little inside when they see that (not responding) banner? Anyway, my main problem with Scrivener – in fact, my only problem with it – was portability. I am often travelling for work and do not want the additional hassle of taking my MacBook with me. One laptop is enough for anyone. I have, at times, come up with an almost alternative workflow whereby I email myself the next part of the story. Clunky at best. It is also reliant on having written down the details of the next writing point, rather than just flicking to the handy outliner view. It also doesn’t take into account that some of the things I write really should not be jotted down onto a work laptop. Ever. So whilst the difficulty was never enough to make me stop using Scrivener, it did hamper my ability to get work done consistently each week. I am a creature of routine. I like to be able to write each weekday morning and if I lose two of those mornings because of a massive commute, my writing productivity gets slashed almost in half. For the sake of complete transparency, I will confess that I have really struggled with this for two years now, since moving to my current employer. I have questioned many times whether this inability to bring balance to the one area of my life that I love so much could actually be a deal breaker. Perhaps that is a level of honesty that some would label career-limiting, but it is the truth. 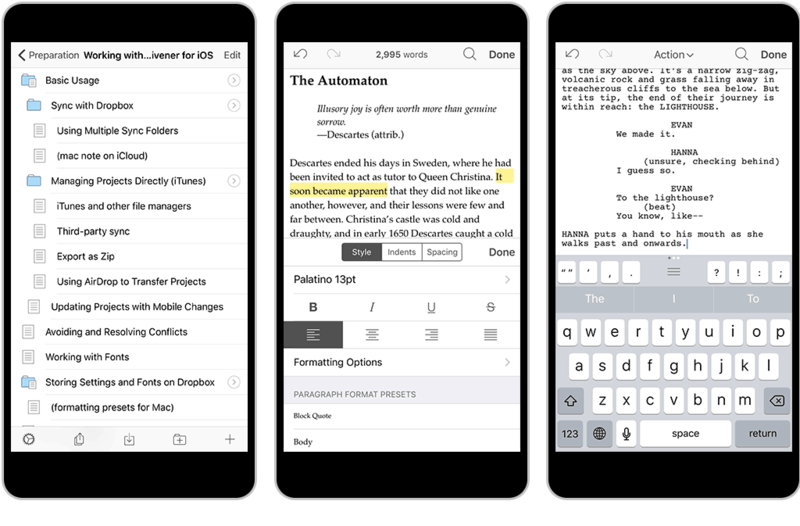 Enter Scrivener for iOS. In my daily life, that means I can now write away from home using only the iPad. This is considerably more convenient than having a MacBook with me. It also means at times like this, when I have unexpected time on my hands, I can pick up my phone and do short bursts of bonus work. It is a game changer. I don’t say that lightly. So far, I managed to write every day last week, despite being away from home at 6am two out of the five mornings. This week is turning out much the same. After some really simple setup, I tested the sync option with caution. I’ve tested software that syncs across devices before and if it is not implemented correctly, it is nothing short of a nightmare. Not a single issue. Mind blown. The functionality was my next test. Apps seldom have the full functionality of a desktop product. Yet everything I need is here. Despite bemoaning the fact it hasn’t existed for years, I am really happy that Literature and Latte apparently took the time because they were getting it right. I’ve yet to encounter a single feature where I’ve been frustrated because my mobile experience does not reflect the desktop one. That is a fantastic place to be in. A very unusual place to be in. I frequently mix with other writers, both aspiring and best-selling. It doesn’t matter who they are or what level of experience, I’ve never hesitated in recommending Scrivener as my writing tool of choice. Especially if they are a planner rather than a pantser, there is nothing better for collating all your research material into a single place. So, now my tyres are changed and I am going to wrap this up. I’m sure I’ll do some minor edits on my main machine before posting, but the bulk of it has been completed on my phone with ease. So thank you Scrivener, for changing the way I can integrate the dream of writing into the much more harsh reality of a daily life, with its travel and to do lists and not enough hours. This entry was posted in Tools, Travel, Writing and tagged 6am, creativity, GTD, inspiration, motivation, productivity, scrivener, Writing, writing tools on August 11, 2016 by sherrinicholds.